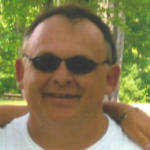 QUEENSBURY, NY – Wesley Cary, age 60, passed away at Glens Falls Hospital on November 11, 2018. Wes was born on May 31, 1958 in Rupert, VT, the son of Elmer and Theresa (Norton) Cary. Wes married Teresa L. Cary. He worked for many years doing construction and farming. He loved watching old movies and television shows with his daughter. Some of their favorites were Mash and Matlock. Wes also enjoyed camping and fishing. He will be remembered as a loving father and grandfather. Wes was predeceased by his parents and his brothers Andy, Steve, Gary, Jimmy and Deb. Survivors are his children Tiffany of Queensbury, Joshua of Victory Mills, Anthony of Fort Edward, Jason of Fort Edward, Wesley, Jr of Granville and Lesley of Granville. He was blessed with six grandchildren: Jasmyne and Joshua Cary Jr., Isabella and Daythan Cary, Alan and Jason Cary Jr., and Kody Bardin. Left to remember him are his siblings: Dennis (Audrey) of Granville, Bill (Gerry) of Pennsylvania, Terrylynn (Jackie) of Manchester, VT, and Herb (Rose) of Hebron. Friends of Wesley Cary may call from 3-5 on Saturday, November 17, 2018 at the Robert M King Funeral Home, 23 Church St., Granville, NY.